You might need the information in this article some day, so read it a few times so it stays in long term memory. 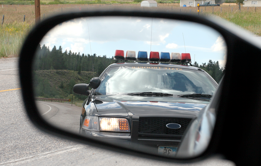 The first and most obvious tip to avoid a DUI arrest and conviction is to not drink and drive. Use a designated driver, a bus or Uber, Lyft or a taxi to get around after a night of partying; $20 is a lot cheaper than a DUI, and if someone’s injured or worse, your freedom and virtually all of your assets will be on the line. That said, if you’ve been drinking and driving, consider the following tips: they won’t necessarily save you from arrest or even conviction, but they’ll give your defense attorney a fighting chance at successfully attacking probable cause (“PC”) to arrest you which could help you beat the rap, save your license and keep your insurance rates from skyrocketing. If you see the dreaded red light in the mirror, keep calm, roll down your windows, pull over, turn off your ignition, place your hands on the wheel and politely greet the officer using as few words as possible (e.g. “officer” accompanied with a polite nod. (If it’s a deputy sheriff, say “deputy” instead to show a presence of mind that your lawyer might later find useful.) Be polite at all times – even if you’re later arrested. The officer will ask for your license and registration. Calmly provide them without making abrupt movements that the officer might mistake as threatening. The officer is trained to ask you questions designed to elicit an incriminating response: where you’ve been, where you’re going, what and when you last ate, when you last slept and, of course, what and how much alcohol you’ve consumed and when. Obviously, the officer is asking these questions to ferret out whether there’s PC to arrest you. That’s the officer’s job. Your job at this stage is to be polite while keeping your mouth shut! (Remember, there’s a very good chance you’re being recorded!) Believing the officer will be satisfied and go on his merry way, you may be tempted to say “I had a couple of beers a few hours ago.” Bad idea. The problem is this: In California, the threshold blood alcohol content (“BAC”) justifying arrest (and DMV action against your license) is .08% by volume. As you drink, BAC rises with time, peaks and then begins to fall. So, if you say you drank hours before, the officer will be thinking that if she arrests you, test results could reveal a dropping BAC (e.g. first .07, then .065) from which a jury could infer a higher BAC at the time you were stopped. Get it? That’s why it’s best to say “I invoke my constitutional right to remain silent, officer.” This will strengthen the officer’s suspicion and maybe even piss him off, but it cannot be used in court! If after all of this the officer still claims PC to arrest you for DUI, then don’t argue or become impolite; stay calm. After you’re arrested you’ll be given the opportunity to submit to a blood or breath chemical test. Each has its advantages and disadvantages; discussing which test to take is beyond the scope of this article. It’s really important, however, to understand that you should probably NOT refuse to submit to a chemical test after the arrest because: (1) the prosecutor will request a sentence enhancement (which the judge might well impose) if you’re convicted of DUI with refusal; and (2) you can count on the DMV suspending your driver license for at least a year (and the standard of proof the DMV uses is much lower than that used in a criminal court so even if you beat the criminal rap, the DMV will almost certainly ding you). Hopefully by now you’ve noticed the theme here: the less you interact with the police, the less PC the officer has to arrest you. The less you breath in the officer’s direction, the less you speak, the less you move, your refusal to take off your sunglasses during the day, your refusal of FSTs, your refusal of PAS – all of these things combine to create less PC which means your DUI defense lawyer has more ammo to show that the arrest was not lawful thereby arguing that the chemical test was also unlawful! The officer will look for anything to stop you in order to investigate further; you might have turned right on a green light but “too far” from the right curb allegedly in violation of Vehicle Code section 22100(a). The officer might then smell (or claim to smell) alcohol coming from your car. Maybe there’s a reason – like your passengers – but now you’re in the hot seat. The officer will look at your eyes and almost for sure note that they’re “red and watery.” (In all my years of practice I’ve never – not once – seen a DUI police report in which driver’s eyes were not “red and watery.” Ask yourself: have your eyes ever been normal after two or three drinks? An experienced DMV hearing officer admitted to me during a recorded hearing that she “once” had a case in which the police report didn’t describe the eyes as “red and watery.” She chuckled as she said it.) Let me say it again: the less you interact, the less PC. Now, that doesn’t mean you won’t be arrested, but it does give your DUI defense attorney much more to work with at the criminal court level and at the DMV level. If you’re arrested, stay calm; you’ll be out soon enough. And fighting – even arguing in a rude manner – is just plain stupid, so don’t do it! Save it for court! It bears repeated the very best strategy to avoid a DUI arrest and conviction: don’t drink and drive. Jail for a first time DUI ranges from zero to 180 days, and DUIs with priors can result in a sentence of a year. The minimum fine is $390 plus “penalty assessments: bringing the fine to a minimum of about $1,700, and that doesn’t include thousands in attorney fees, DUI traffic school, enrollment in a community labor (e.g. Caltrans) program, increased insurance rates and the cost of ignition interlock device installation and service. Uber’s about $8-$20 bucks for a local ride. Know what I’m talking about? Okay, now, go back and read this article again, but don’t drink and drive! If you’re arrested for DUI, reach out to experienced California DUI defense attorney Sarkis Jacob Babachanian at (818) 500-0678 or sjb@babachanian.com right away. Sark will help you understand what you’re facing, timely request a DMV office hearing to delay and perhaps eliminate suspension of your license and help you navigate the minefield that awaits you.